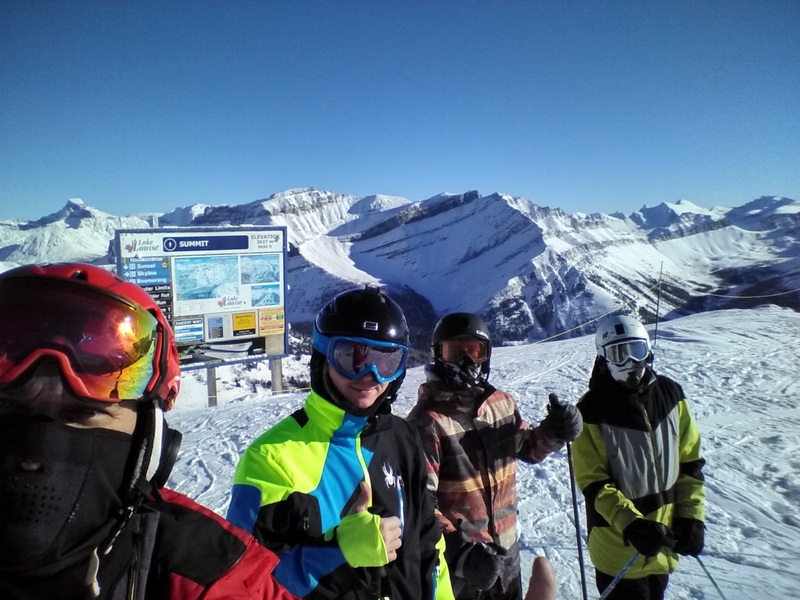 Can Lake Louise make your company better? | alpha technologies Inc.
Can Lake Louise make your company better? It sounds funny doesn’t it? How does skiing in one of the most beautiful places in the world have an effect on what you do from 9-5? When it is something you do with the people you work with, it can have a huge effect on communication and coordination. Years ago , due to my inability to find the right presents for my kids, I made a trip to Banff my Christmas gift. 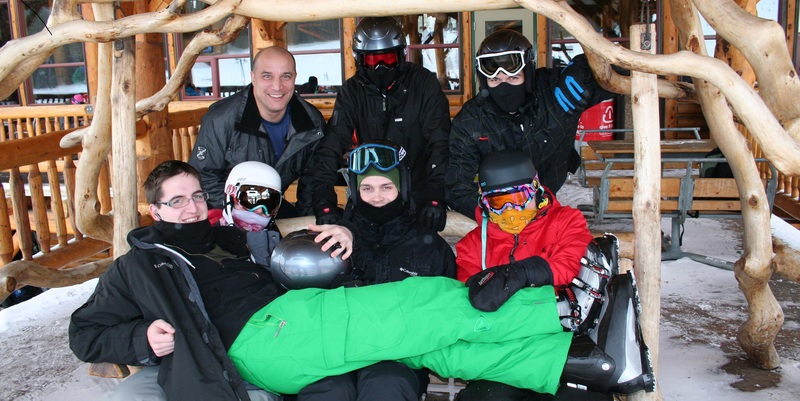 They learned to ski and snowboard, and to this day it is something we continue to do together. Memories of being packed in a small hotel room but nobody complaining as the excitement made the inconveniences seem small. We appreciated the fact that the next day we would be on top of a mountain. We grew closer as a family. I spend more time with my coworkers than I do my family these days. Years ago, this boxing day to new years day vacation was extended to friends and staff. 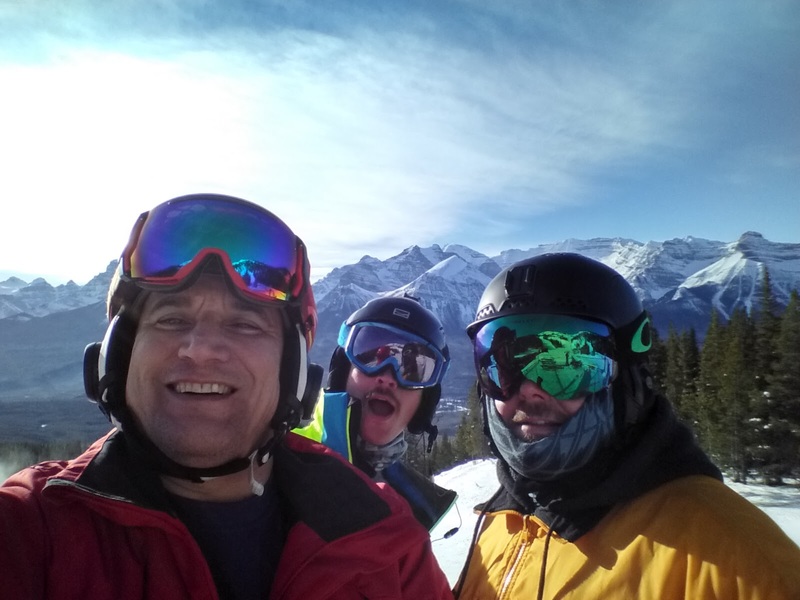 I have had the pleasure of introducing my friends and coworkers to Lake Louise and enjoyed the looks of wonder when they first get off the chair lift. If you haven’t been, you can’t quite understand the effect mountains can have on you. I am sure it is different for everyone, but humbling is probably a common feeling. What happens when you take people who spend time working hard together and take them into the mountains? It is something pretty special. When you own a company you need to treat that environment in the same way you would a home. You have people that come from a variety of backgrounds, and soon realize that strength comes from creating connections between everyone. Those concepts apply no matter what level of relationship. In our case, we have built alpha on the premise of “team concept”. Our environment is an open one so communication has been at the forefront of our success. Strengthening those relationships has been a core focus of our management style and retreats for staff and friends is part of that team building. In the summer we have two weekend events that have us rafting down the Roseau River, and racing drones in Lac Du Bonnet. The winter trip is special though. It starts with a road trip. Boxing day, after the madness, about 9 PM a collection of vehicles meets at a Tim Horton’s with roof racks loaded. The journey is similar every year. Stops in Brandon, Regina, Swift Current, and Medicine Hat provide our gateways to the west and we arrive in Canmore to setup our home base for the next few days. Over the years we have built relationships with people that we have met, and call the Rocky Mountain Ski Lodge our home in the mountains. Loft suites with kitchen’s help us keep costs down by preparing our own meals. That first night is filled with excited talk about snow conditions and what the weather will be like the next day. When we wake up things are pretty automatic. The coordination that we have when working together kicks in no matter where we are. Coffee, breakfast sandwiches, and then the 45 minute trip to our favorite spot in the mountains. 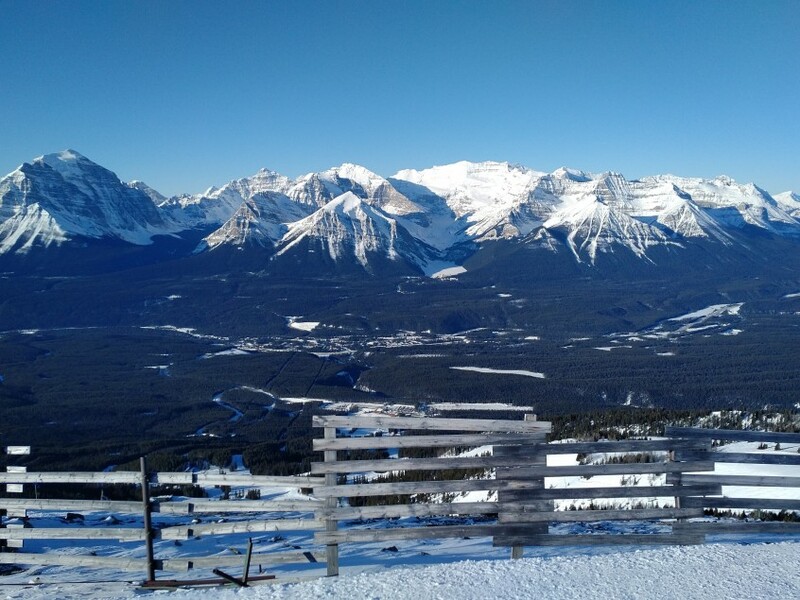 There is something for everyone at Lake Louise. 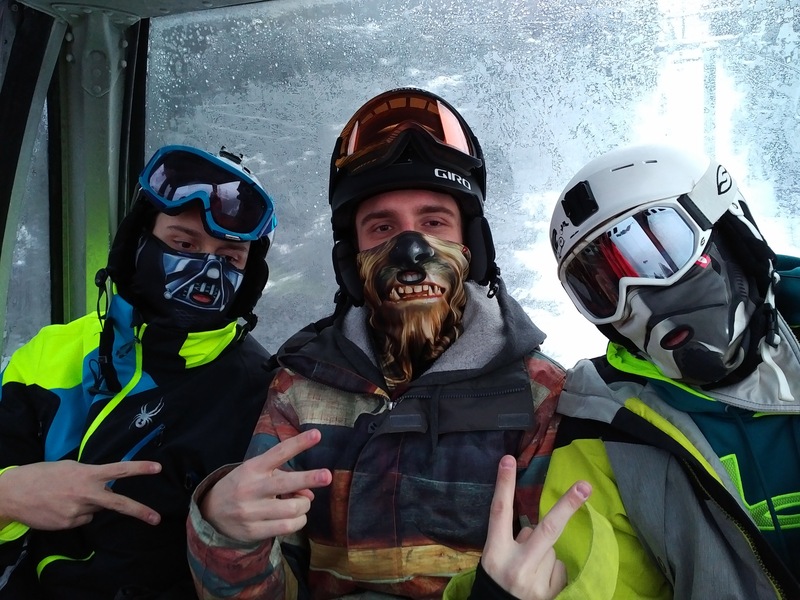 Whether you are a beginner and need to take some time on the bunny hill, or want to take in some of the more difficult runs, there is something for everyone. We usually start on the gondola for a lift up the mountain that will give us options to stay on the front side, or ski into the back area to access another 3 chair lifts that can take you higher, or gain you entrance to Larch, another favorite area of ours. What makes Louise one of our favorites is the variety of terrain that is available for all different skill levels. Through the years I have watched guys start on green runs and before the day is over they have graduated to blues and blacks. Five chair lifts, a gondola, and a button lift carry you to the top and acres of terrain give you more options than you can explore in a day. Lodges are located conveniently on all sides of the resort for when you need to use the facilities, or just stopping for a hot meal. Laughter is non stop and you can see the camaraderie build with the memories. Having four days of skiing gives us time to explore the local restaurants and shops both in Canmore and Banff. Tommy’s for a steak sandwich and frings, candy stores that have the guys lined up with bags of goodies for later in the evening when the network gets built in the hotel room for some online gaming, or board games setup for those who want something more cerebral. Whether it is skiing, camping, fishing, or even taking everyone to the movies, building those relationships between coworkers can be fundamental to future success. I don’t need to read studies to see the results of these trips in our own environment. Morale, while never really a factor at alpha, is boosted every time we get back. Maybe it is the fresh air. Perhaps the adrenaline that courses through your veins as you race beside one of your friends on fresh snow. I find the scenery to be inspiring no matter how many times I go and standing at the top of a mountain with the Bow Valley before you has a habit of making me appreciate where I am, and who I am there with. It is impossible to measure the results that follow a retreat like this. Does it lower turnover? So far we haven’t had any. Maybe strengthens the bonds between co workers? Lowers stress? Increases productivity? We are a very productive group as it is. Yes, some things are immeasurable. 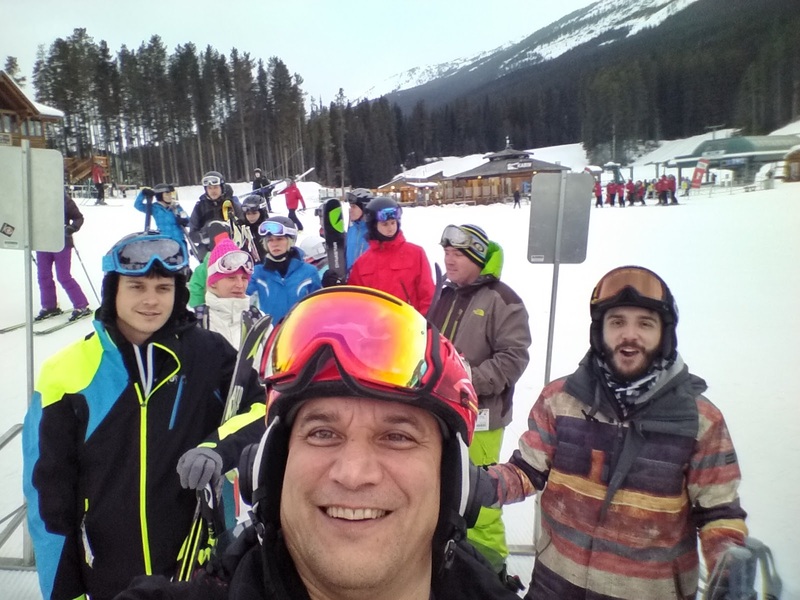 What I can state without any doubt is that Lake Louise makes our Christmas break one that is looked forward to year after year. There is no better way to reward everyone in your organization than to introduce them to something new. Something that they will appreciate year after year. Something that will create memories that will be carried for the rest of their lives. Something that lets me share one of my special places with some of my best friends.